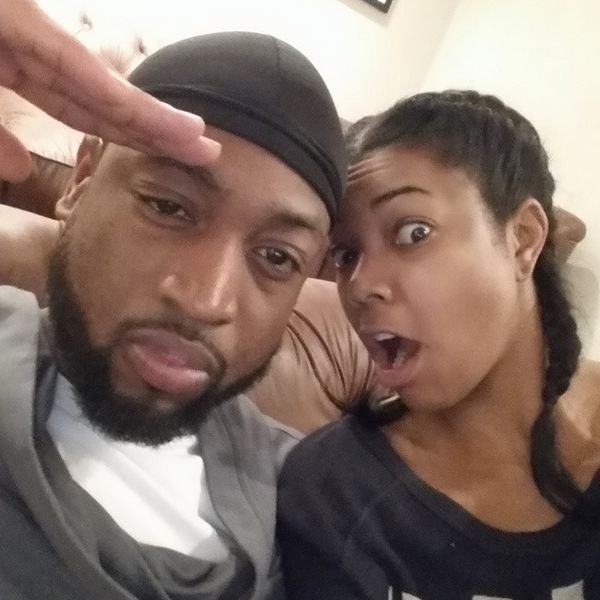 If you mess with Gabrielle Union’s husband Dwyane Wade, expect to get checked! Gabby threw the ultimate shade towards retired NBA baller Charles Barkley after he said D. Wade didn’t deserve to make the All-Star team. Take a seat and grab some tea under her palm tree inside…. Miami Heat baller Dwyane Wade lucked up on a ride or die chick when he married “Being Mary Jane” star Gabrielle Union. Gabby is NOT here for anyone shading her man and will politely throw it right back. Last night, retired NBA baller turned “Inside the NBA” analyst Charles Barkley was giving his honest opinion on this year’s All-Star team line up. And he believes Dwyane Wade should NOT have been chosen to play in this year’s NBA All-Star Game (going down Feb. 15th in NYC). “Dwyane’s great, [he’s] a Hall of Famer, but he didn’t deserve to make the All-Star team.” He added, "Dwyane Wade is not having an all-star year". Now let’s put it in perspective. Kenny Smith, who hosts alongside Charles on "Inside the NBA", is also a former NBA star who brought home two NBA championships during his career. He felt D. Wade deserved to be on the team. However, Charles did NOT win ANY NBA championships during his career! Chile… the shade! “Well listen, first of all never mention you and Meryl Streep in the same sentence again. 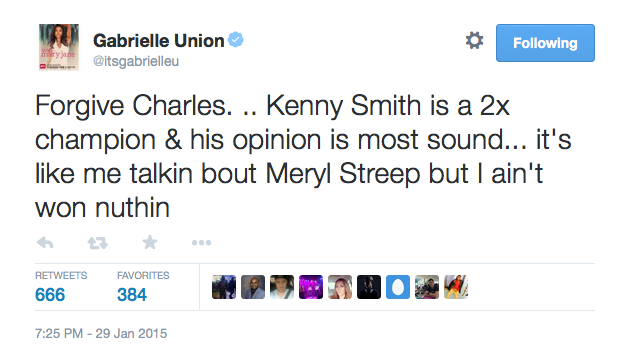 Meryl Streep would never be on ‘Snakes On A Plane’ or ‘Madea’”.